PUPCAKE – The Droolicious new barkery in town!! UPDATE: Manu & Terry – you win the Pupcake Giveaway!! Banana Biscotti, Apple Cinnamon Cookies, or maybe a slice of sinful Red Velvet cake….what are you in the mood for today? Er sorry actually what’s your pooch in the mood for today?!! So what inspired you to start Pupcake….. I have always worked in the food industry, even had my own restaurant for three years. I love to cook! I have grown up with dogs and have had them around my entire life. When it was time to start a new chapter in my life, I didn’t have to look too far for any inspiration. Combining my passion for food and dogs, Pupcake was born! I research recipes, ingredients, bake, sometimes do delivery of the goodies too. I am the only human member of my company! Calvin, a 3 year old beagle boy, is the chief taster. 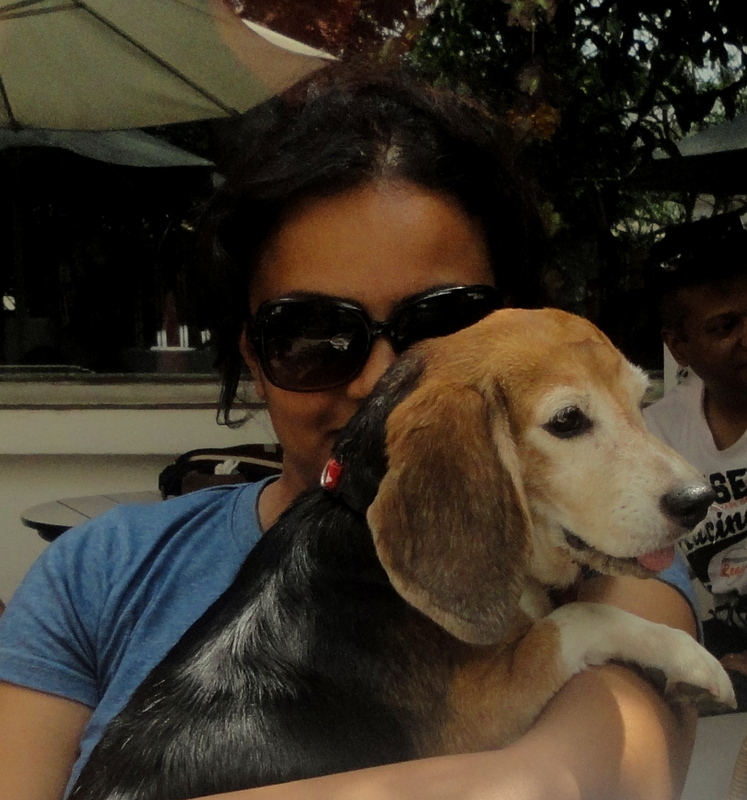 Sasha, a 4 year old beagle girl, (rescued by CUPA from a lifetime of testing in a pharma lab) is the PR girl….she is very popular! Both of them also supervise the baking process by keeping a keen eye on me when I’m working in the kitchen. They sometimes also accompany me to deliver the goodies. 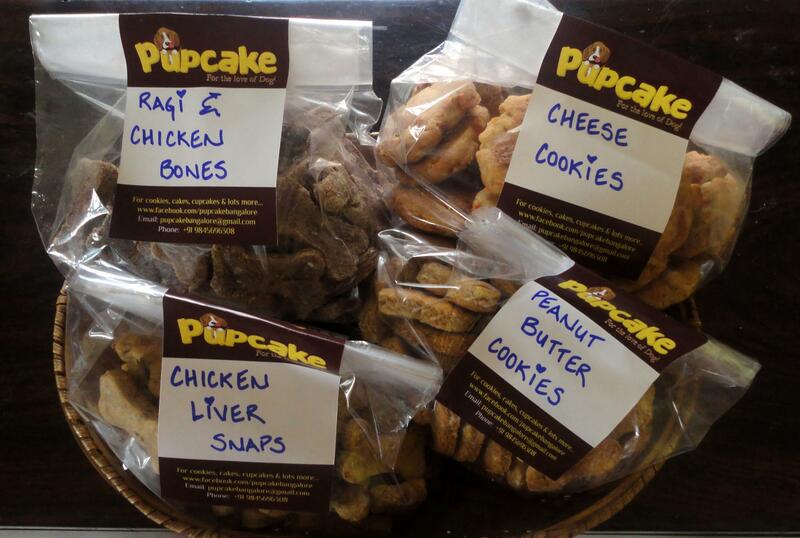 We have treats, cookies, cakes, pupcakes and meatloaves. If somebody wants us to create something new and special for their furry children, we do that too! What’s so special about Pupcake products? They do not contain a single ingredient that is harmful to dogs… no sugar, no butter, no salt, no artificial colouring or flavour etc. Only whole wheat flour is used, no maida. We use a lot of healthy ingredients like oats, flax seeds, wheatgerm, ragi, canola oil, etc. They look great, so the humans are happy. They smell and taste great, so the doggies are happy too. Among the treats, the chicken liver ones are the most popular. The Bacon Cake is a hot favourite because everything is better with bacon!! I’m yet to meet a dog that has not fallen in drooly love with the meatloaves. Pupcake’s pawpular Bacon Birthday Cake! Best part about making cakes for dogs instead of humans…. The look on a doggy’s face when they are given treats and cakes that they enjoy, humans will never be able to match that! In a world where dogs are being abandoned and ill-treated so much, it is a matter of great joy to be a part of families that celebrate their dogs – the birthdays, the welcome home paw-rties, Christamas, Valentine’s Day etc. Well all this talk about cakes and cookies has sure made me hungry. And it doesn’t help that the goodies from Chinthana’s Pupcake look unresistable!! 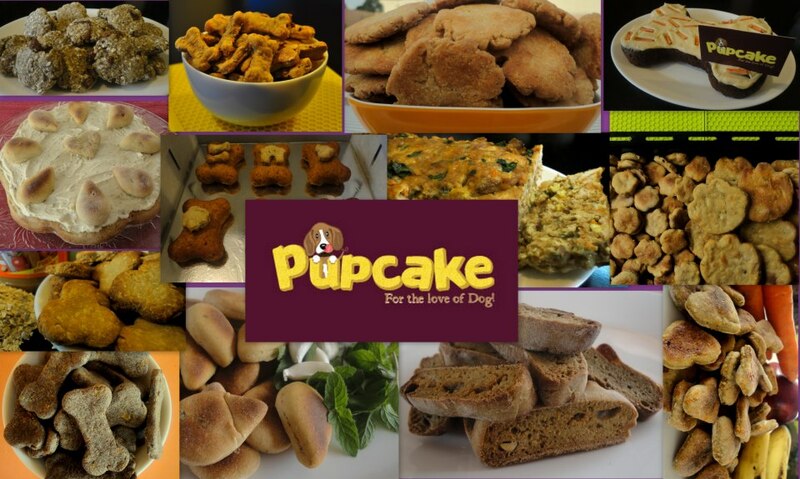 Check out the Pupcake menu here to see all the yummy treats and cakes available for your furry baby. 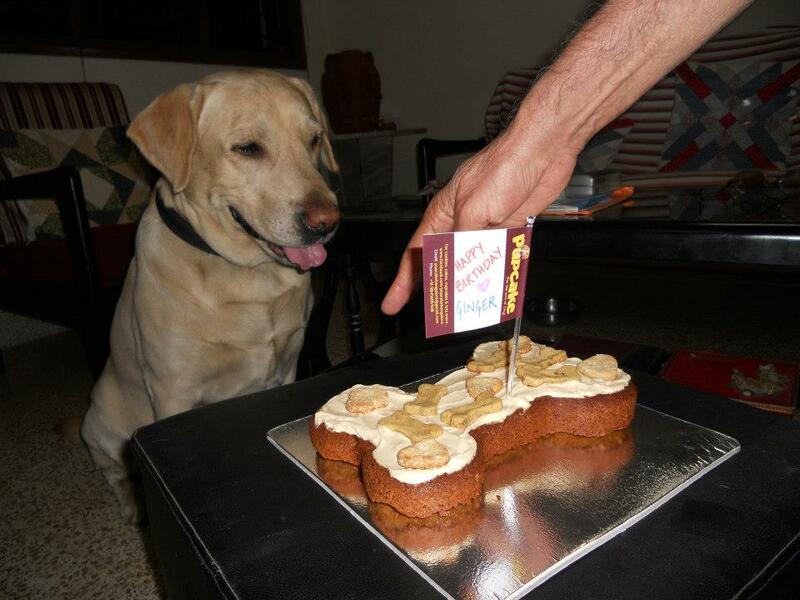 Pupcake can also deliver treats anywhere in India. For more details drop by their Facebook page.